REX Capital Management is preparing to launch the REX Bitcoin Strategy Fund, subadvised by Vident Investment Advisory and PMed by Vident president Denise Krisko. The fund is part of the Investment Managers Series Trust II. Mutual Fund Administration and UMB Fund Services will handle administration for the new fund, IMST Distributors will handle distribution, and Morgan, Lewis & Bockius will provide counsel. UMB will also serve as transfer agent and custodian. An independent accounting firm is not yet listed. On September 29, the Hays Tactical Multi-Asset Fund will liquidate. The fund closed to new investments today. On September 28, the RBC BlueBay Absolute Return Fund, the RBC BlueBay Emerging Market Corporate Bond Fund, the RBC BlueBay Global Convertible Bond Fund, the RBC BlueBay Emerging Market Unconstrained Fixed Income Fund, and the RBC Mid Cap Value Fund are all scheduled to liquidate. The funds will close to new investments on Monday. On November 1, the Pioneer Emerging Markets VCT Portfolio within Voya's variable annuity accounts is scheduled to liquidate. It will close to new investments on October 31. The same change is happening within Commonwealth's variable annuity accounts. On September 15, the Wakefield Managed Futures Strategy Fund is scheduled to liquidate. The fund closes to new investments today. On October 31, the BlackRock Global Opportunities V.I. Fund within Transamerica's variable annuities is scheduled to liquidate. 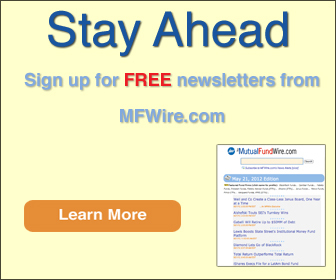 On September 1, MFS plans to offer R6 shares of the MFS Municipal Limited Maturity Fund. In October, J.P. Morgan plans to launch R6 shares for the JPMorgan Strategic Income Opportunities Fund. On Monday, the Toreador International Fund's C shares will convert into Investor shares. On December 1, BlackRock plans to close its Premier Government Institutional, Treasury Strategies Institutional, and Select Treasury Strategies Institutional funds to new purchases. On September 11, the Vanguard equity index portfolio subaccount within Transamerica's variable annuities will be closed to new investments. Today Rampart Investment Management Company became a subadvisor for the Virtus Equity Trend Series within Symetra's variable annuities. On Wednesday Neuberger Berman added BH-DG Systematic Trading as a subadvisor to the Neuberger Berman Absolute Return Multi-Manager Fund. Neuberger also removed Blue Jay Capital Management as a subadvisor to the fund. This month Voya Investment Management replaced Wamco as subadvisor to the WisdomTree Emerging Markets Corporate Bond Fund. Jean-Dominique Butikofer and Anthony Routh, both from Voya's emerging markets debt team, became the PMs on the fund. On Monday Chris McMeans will become one of the PMs for the Invesco Dividend Income Fund. 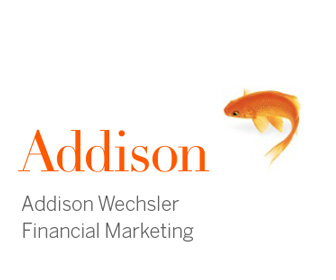 In July Asher Anolic was added as a co-PM to the Fidelity Growth Discovery Fund. This month Clint Lawrence added as a co-PM on the Fidelity Flex Small Cap Fund. Eirene Kontopoulo, Morgen Peck, and Shadman Riaz are no longer co-PMs on the fund. On December 31, Matthew Nagle will replace Cindy Sweeting as a PM for Voya's VY Templeton Foreign Equity Portfolio. Sweeting is retiring from Franklin Templeton. Also on December 31, Christian Derold will no longer be a PM for Voya's VY Morgan Stanley Global Franchise Portfolio. This month managing director Alexander Stanic became a PM for the JPMorgan Global Unconstrained Equity Fund. On August 7, Jeffrey Rabinowitz became the lead PM of the Lord Abbett Growth Opportunities Fund. David Linsen left the fund on the same day, and Anthony Hipple left the fund on July 31. Also on July 31, Todd Jacobson became the lead PM of the Lord Abbett International Core Equity Fund, and Yarek Aranowicz became the lead PM of the Lord Abbett Global Core Equity Fund. Didier Rosenfeld and Frederick Ruvkun left the two funds. As of August 1, Robert McDonough no longer PMs the AAAMCO Ultrashort Financing Fund. Yesterday Cambria rebranded the Cambria Sovereign High Yield Bond ETF as the Cambria Sovereign Bond ETF and tweaked the fund's investment strategy. Yesterday American Beacon transformed four of its "non-diversified" mutual funds into "diversified" funds. The affected funds are: the American Beacon Flexible Bond Fund, the American Beacon Global Evolution Frontier Markets Income Fund, the American Beacon SGA Global Growth Fund, and the American Beacon Sound Point Floating Rate Income Fund.